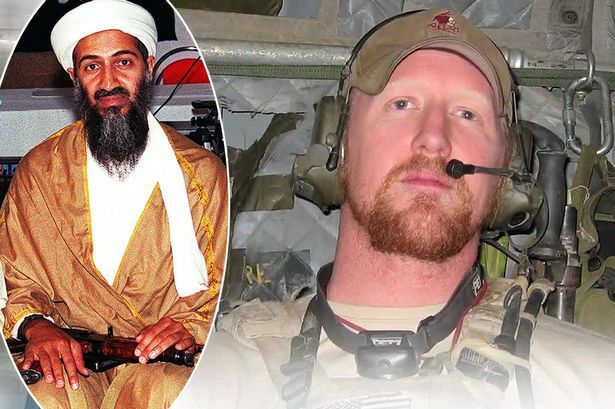 BUTTE, Montana – The former United States Navy SEAL “Robert O’Neill”, who shot and killed Osama Bin Laden, had his home mistakenly invaded by members of a street gang this morning shortly after 1AM. O’Neill was uninjured. The five intruders suffered injuries but are expected to make a full recovery. Their names were not released in anticipation of the oncoming media storm. According to Police Commissioner ” The five men who invaded are part of a local street gang and were seeking to collect on a drug debt and invaded the wrong house, with the intended target just so happening to be the next door neighbor of O’Neill’s“. “Mr. O’Neill was awoken by a loud crash when his backdoor was abruptly kicked in. As the five thugs ran aimlessly through the home, Mr. O’Neill used silent hand-to-hand combat tactics to individually disarm them of their weapons. Once Mr. O’Neill had taken down the five men and secured his home, he brewed a pot of coffee and called the police station. Those boys sure did find the wrong house!” police commissioner said as he chuckled. “It was nothing really. Those kids didn’t have their mission planned out properly and hit the wrong target. I hated to break their wrists and dislocate each of their knees like I did, but it was necessary in order to immobilize the invasion. I hope they get the money that is owed to them once they get out of jail and decide to live better lives. My main concern is getting my back door fixed. Those boys really did a number on the door jamb,” O’Neill stated. The neighbor who was the intended target seems to have abandoned home and has not been found by police. According to the men in custody, the debt was over a $50 bag of marijuana.